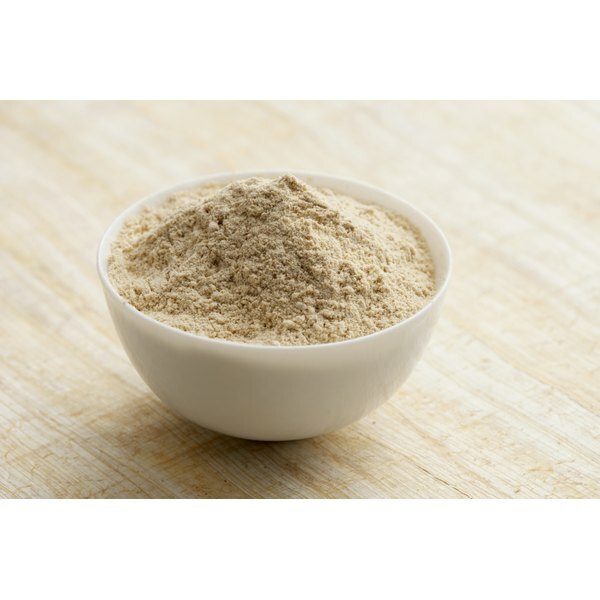 Suma typically refers to the dried root of Pfaffia paniculata, a plant native to the Amazonian rain forests. According to the American Pharmaceutical Association's "Practical Guide to Natural Medicines," the plant's berries, bark and leaves are also used medicinally. Known throughout the Amazon basin as "para todo," which translates to "for all," suma is consumed as an enhancer for general health and well-being. You should consult a physician prior to using suma or any herbal remedy. Suma is often sold in capsule or tablet form, but it is also available as a dried, often powdered, herb. Suma root was introduced to the United States as "Brazilian ginseng" to capitalize on the popularity of ginseng as a nutritional supplement. The "Practical Guide to Natural Medicines" notes that, in powdered form, suma is consumed two or three times per day in doses of 500 to 1,000 mg each time. Capsules of the dried root are also available, in 500 mg sizes, and are taken in doses of one or two, twice daily. According to the American Pharmaceutical Association, herbalists in North America believe suma is an "energizing adaptogen," which is something that boosts the immune system and combats low energy or fatigue. Herbalists have recommended suma to fight the exhaustion that occurs from viral infections such as Lyme disease and Epstein-Barr disease. It has also been used to by herbalists to control diabetes and hormonal imbalances due to menopause. However, no scientific or medical studies have confirmed the efficacy of such uses in humans. The Mayo Clinic notes that a serum that contains suma improved the appearance of dark circles under the eyes in one study. Check with you doctor before using suma. Native users in the Amazon and, more recently, sellers of nutritional supplements and Internet retailers, have long touted the aphrodisiac qualities of suma. A 1999 study published in the journal "Psychopharmacology" goes some distance in confirming this use for suma. The study was performed on male rats that were impotent or "sexually sluggish." Results showed that an extract made from the Pfaffia paniculata plant improved the impotent rats' ability to perform sexually, supporting "the folk reputation of... Pfaffia paniculata as [a] sexual stimulant." No human subjects were included in the study, however. Another study, published in a 2003 issue of the "Journal of Reproductive Development," noted that suma raised progesterone and testosterone levels in lab mice. Ask your doctor about suma and its claimed sexual enhancement qualities. Based on its reputation as an energy-giving enhancer of overall health, suma has been studied as a potential treatment for cancers. The effects of suma on cancers is still largely unproven in humans, but research indicates that suma may have great potential in cancer treatment applications. According to the "Practical Guide to Natural Medicines," a Japanese study used suma derivatives to inhibit the growth of melanoma tumors in a test tube; the researchers also observed anti-tumor effects of suma in mice. A 2010 study in "Experimental and Toxicologic Pathology" showed that suma controlled the proliferation of cells as well as apoptosis, or cell death, in laboratory mice. Suma has not yet been shown to be effective as a cancer inhibitor in humans. Ask your doctor about the use of suma as a cancer treatment.